Last night the John Cage Centennial Festival opened here in the nation’s capital at the Corcoran Gallery of Art. It was a night of nostalgia, old war stories, and a whimsical reading of Cage’s outlandish radio play: James Joyce, Marcel Duchamp, Erik Satie: An Alphabet, read by a cast of composers (including Gordon Mumma), musicians, and Cage devotees. The opening panel discussion was an entertaining, often moving exchange of Cage memories, the panelists recalling how they met the composer, what inspired them, what ignited their passion for his work and music. Laura Kuhn, head of the John Cage Trust, talked about meeting Cage when she was graduate student. She recalled that Cage’s extraordinary ability to excite a profound willingness to take risk is what drew her into lifelong work as his archivist. It was Laura Kuhn’s archival work that sets the stage for my own Cage story. Rewind back to the 1980s, I first met Cage in 1986 at the home of Teeny Duchamp (Marcel’s last wife) just outside of Paris at his 75th birthday party. I was a grad student at the time working on a post-doctorate fellowship at IRCAM (Institute for the Research and Coordination in Acoustics and Music) in Paris where I was studying computer music. 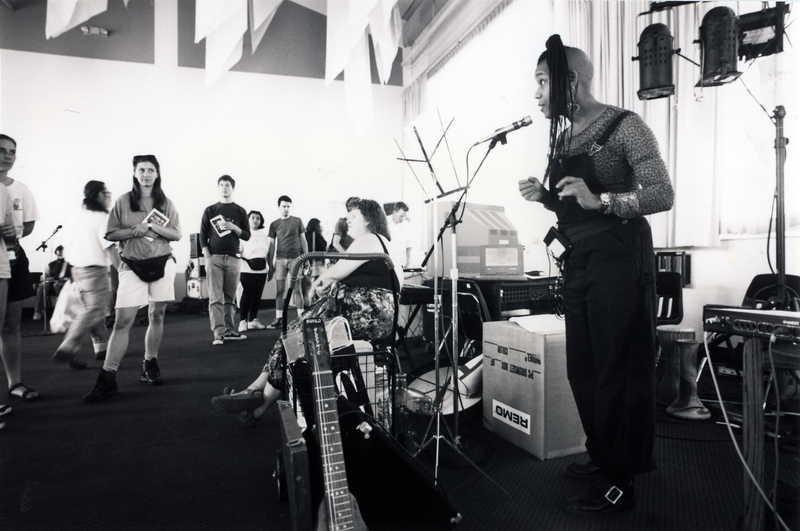 Three years later in 1989, having returned to San Francisco, I directed my first John Cage Musicircus, CAGEFest, a wildly, festive event that Cage himself attended when he was in town with the Merce Cunningham Dance Company. Forward another three years, we come to my story. 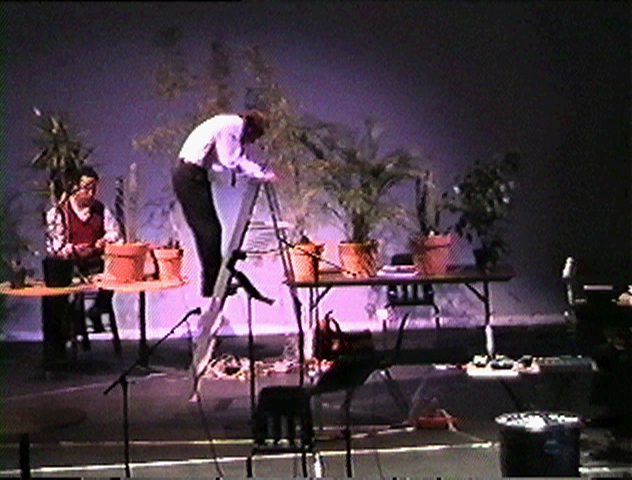 It was 1992, a few months before what would have been John Cage’s 80th birthday. I was making all the preparations for my next Musicircus, a really, really grand one this time, to last 8 hours (one hour for each decade). I invited all my favorite new music specialists in the San Francisco Bay Area to perform Cage works: vocal, instrumental, electronic, performance. I scored the Musicircus such that all of the works were played as a collage, each piece with a specific start and end time, a location in the room (the Fort Mason Conference Center by the Bay), and space for the audience to wander throughout. No stage, no seating, an intermingling of performance, sound, viewing and listening. 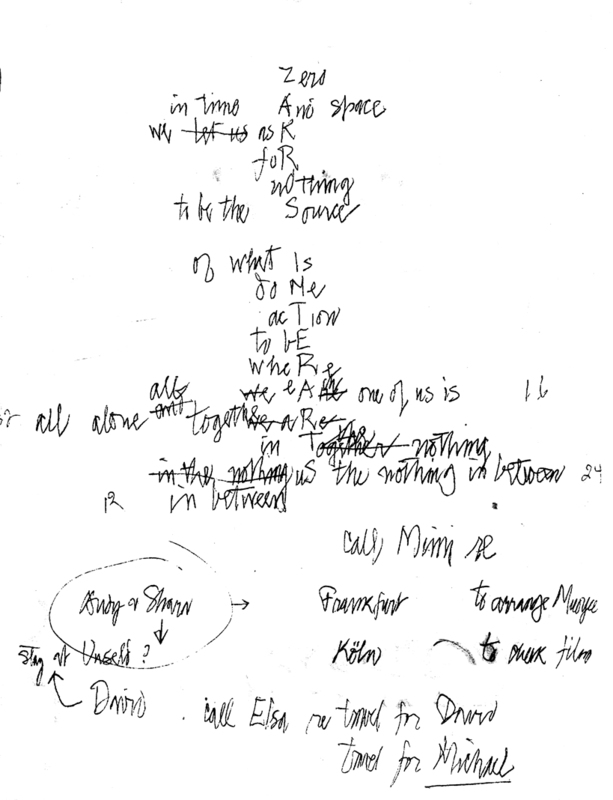 I then asked John Cage to write a mesostic for the event, a poetic composition the composer often employed, which contained a word or group of words running down the spine of the poem. 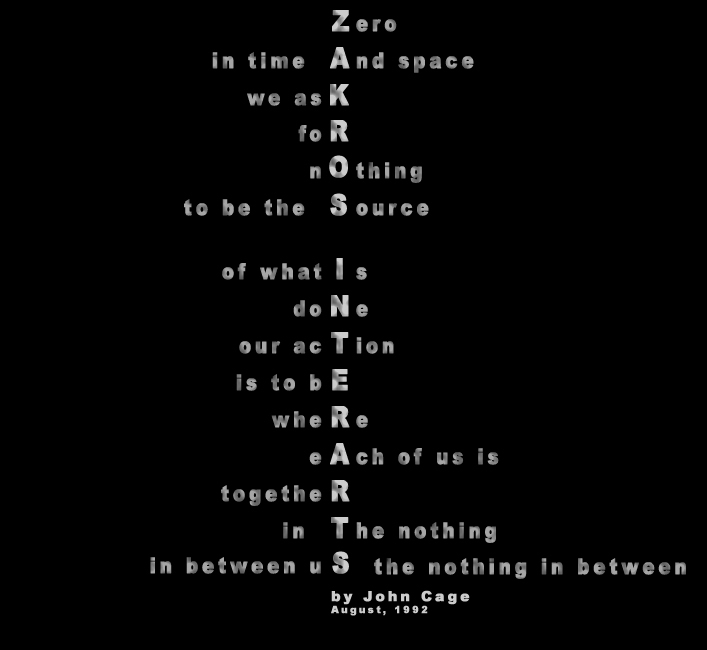 I wrote Cage a letter, and much to my surprise, he agreed to write a mesostic using the name of my company, Zakros InterArts! Now, this was not really so unusual. 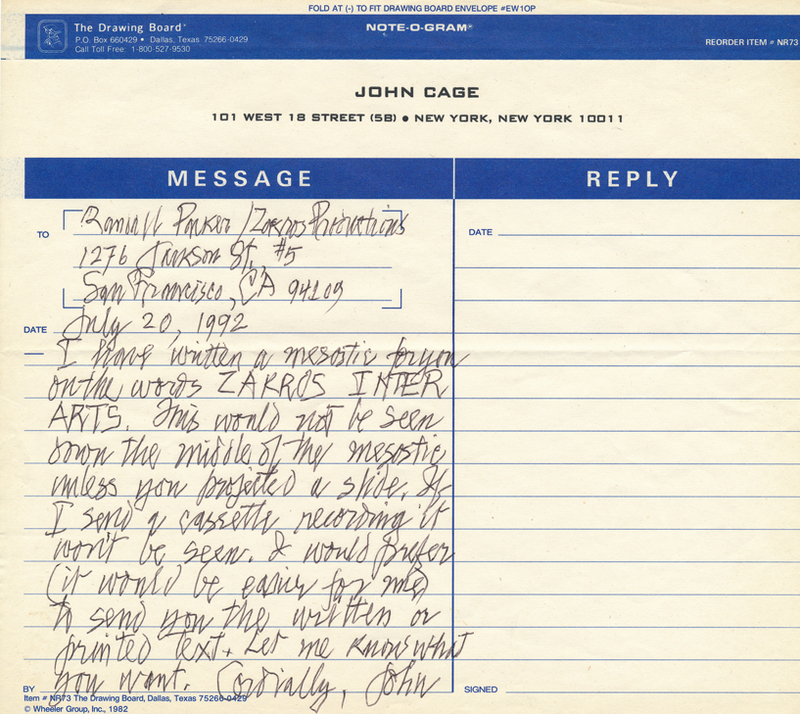 John Cage was one of the most generous human beings on earth, who would make every effort to fulfill odd requests that came at him every day. Waiting for Cage’s mesostic to arrive in the mail, I continued my preparations for the Musicircus. 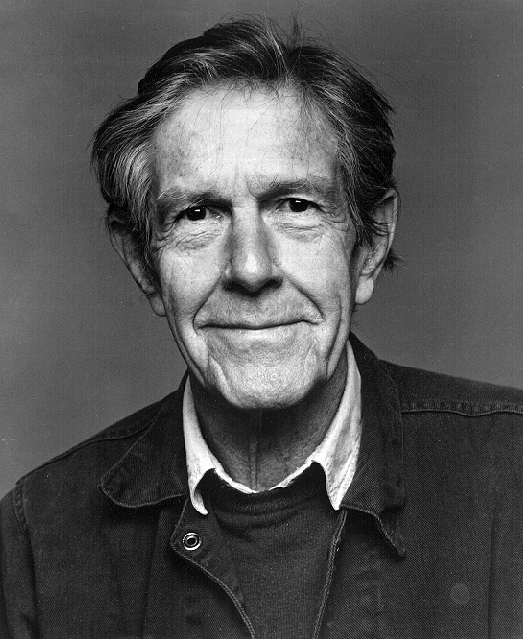 Then it happened, so unexpectedly, on August 12, 1992, just three weeks before his 80th birthday, John Cage died of a stroke. Instantly. We were all devastated, it was impossible to imagine a world without John Cage. He was the patriarch of the avant-garde, he was the center of all things radical in the music world, and now he was gone. Unbelievable. The birthday event I was planning became a memorial concert. But what about the mesostic? I was still waiting for it to arrive in the mail, but nothing. I called Cage’s office with great trepidation, they had more to worry about then my mesostic, I spoke with Mimi Johnson, his assistant and she said it had been mailed. But, much to my dismay, she had no idea where. Everything was in a state of chaos and she had no way of checking the address. I was horrified, John Cage had written me a mesostic, now maybe his last, and I would never see it! A few days later I was on KPFA radio in Berkeley for an interview with music director Charles Amirkhanian. I was promoting the John Cage birthday-turned-memorial concert and told my sad story of the lost mesostic. Now, it just so happened that Laura Kuhn, the Cage archivist, was listening to the show. Shortly thereafter, she flew back to New York (this is only perhaps a week after Cage’s death) to collect his notebooks, papers, etc., from the composer’s apartment. While she was going through Cage’s last notebook, a miracle of all miracles occurred: she found the mesostic. I then received a call from her explaining she had heard me on the radio and wanted to fax me the mesostic. Not only did it magically appear in my fax machine, but she sent the very page the mesostic had been composed by Cage in his own writing! I could hardly believe my eyes. There was my mesostic with Zakros InterArts running down the spine, and with Cage’s edits and a few other unrelated cryptic messages and notes to himself! Extraordinary. Thank you John, and happy 100th birthday.